Happy Thursday everyone! Here are 10 random awesome football facts that'll blow your mind. English club Altricham FC have the unique ability to escape relegation it seems. Between 2005 and 2008 the club was relegated in three consecutive years from the same division (Conference). How is this possible? Well, every time the club was demoted they were almost immediately reinstated back into the division they got bumped from due to the struggles of other clubs either folding or not allowed to be promoted due to various eligibility issues. I guess this could be related to other sports involving national teams, nonetheless, this is so cool I couldn't help but include this in our list. When Sweden plays against Denmark or Cyprus plays against Russia, the team name abbreviations combine for a very interesting effect. SWE-DEN spells "Sweden" and the letter that remain from the two team names (SweDEN and DenMARK) spell "Denmark". The other two have the exact same odd combination, CYPrus and RUSsia spell "Cyprus" while the remaining letters (CypRUS and RusSIA) spell "Russia". Weird! While with Aston Villa and at the age of 24 midfielder James Milner won the PFA Young Player of the Season Award, a whopping 9 years after his actual professional debut with Leeds United at the age of 16. South Korean international footballer Ahn Jung-hwan scored against Italy in the 2002 World Cup to knock the Italians out of the tournament. While the feat was exciting and a highlight Ahn will likely never forget it cost him his job as he was released from his Italian club Perugia the very next day with the club's owner quoted saying "I have no intention of paying a salary to someone who has ruined Italian football." 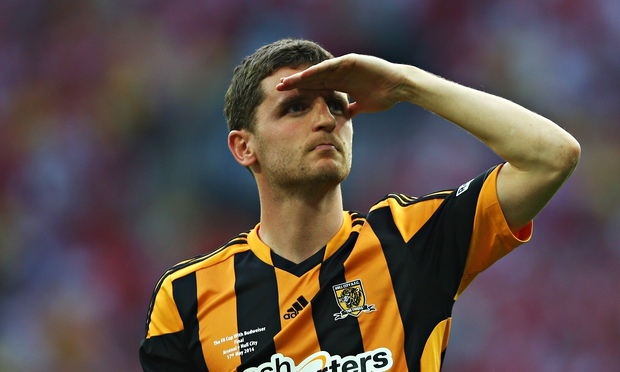 English club Hull City have never won a Premier League game in May...EVER! A second round Scottish cup tie between Inverness Thistle and Falkirk in 1979 was posponed 29 times due to bad weather. The match that was originally scheduled for the 8th of January was eventually played nearly two months later on the 22nd of February. In case you're wondering, Falkirk ended up winning the match by a 4-0 final but lost in the very next round, so really, that match didn't matter much. During the 1978-79 season Italian club Perugia finished their Serie A season without a single loss. With a record of 11 wins and 19 draws however, the club finished 3 points behind champions AC Milan who had 3 losses on the year. The highest score registered in a football match was played to a 149-0 scoreline in Madagascar in 2002. Club SO l'Emyrne intentionally lost the match because of an earlier dispute with the referee during a four team tournament. Australian striker Archie Thomson holds the record for most goals scored in a single international match after putting 13 in the back of American Samoa's net during Australia's 31-0 win in 2001. The odd thing is that despite this world record breaking performance Thomson was omitted from the squad for Australia's following match as he was not a regular starter to begin with. England national Jermaine Defoe once stopped to play football with a group of young boys, one of them turned out to be Harry Kane.